My son was diagnosed a week before his 3rd birthday based on his elevated CK levels. Initially, we were told that he had Duchenne Muscular Dystrophy. 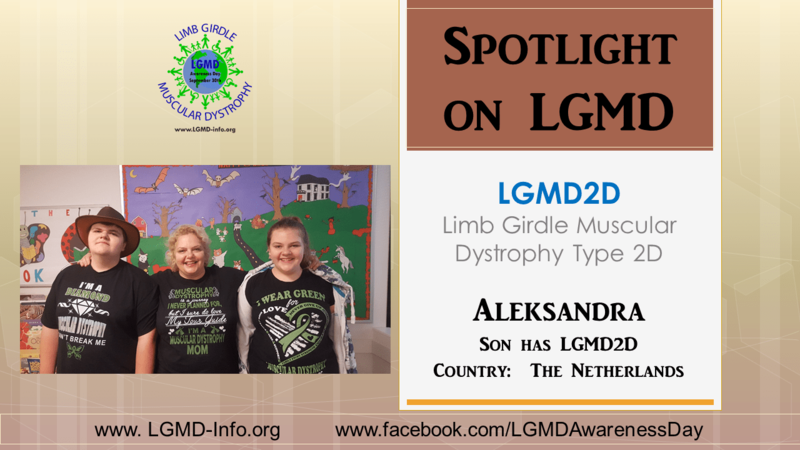 But we asked for a muscle biopsy and then found out that actually has LGMD2D. My son has been hypotonic since birth and has many respiratory infections. When he started crawling my friend and Chinese acupuncturist told us the way he crawled was unusual and advised us to check CK-levels. At the age of 3 the doctor found out he had muscular dystrophy. We were devastated as his eldest sister passed away due to HLHS and I was 8 months pregnant of our youngest. It took almost a year before we knew it was the type LGMD2D and I was urged to save my kid, ready to do everything whatever it would take. I always said: If I had to go to the other end of the world I would! 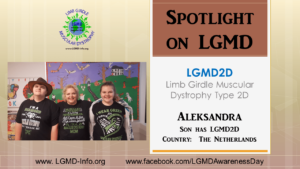 No, no one has been diagnosed with LGMD2D on either side of our family but our youngest daughter shows similar symptoms although she has not received a confirmed diagnosis yet. We put him on orthomolecular regime and prednisone to slow down the disease to give us some more time. And last but not least my son got weekly therapies such as eurythmic, music therapy and art class to give him tools to accept and become. As a parent, I really believe that this came to our life for a reason and we got the most dedicated doctors that help us! It is our journey with destination to a cure, it is 24/7 never ending job but we won’t give up. As a parent, I really believe that this came to our life for a reason and we got the most dedicated doctors that help us! It is our journey with a destination. We met Prof. Mendell ten years ago. We were really impressed as his team worked so thoroughly and was kid-centered. They were eager to learn from my son including how he was doing and what his thoughts were about his disease. We came back for several years while we were hoping he could join a trial some day and in between, he was in the best medical and dedicated hands. We really wanted to stop the progressive muscle breakdown process not only for my son but for all the patients. We participated in a trial from 2015-2017 and the results are promising, every day we are closer to a cure. It was a big honor to participate and we really believe that LGMD2D will be stopped in nearby future. There is hope! The team in Nationwide Children’s Hospital is very dedicated. We got a tour of the lab and saw how they take care of everything even the lab is built earthquake safe and they use HEPA-filters and so many safety rules to treasure the treatment. There will be soon ways to treat LGMD2D. In the meantime, we have learned to celebrate every milestone. I wished that I had known this when my kid was diagnosed! The trial changed us in many ways and made us very grateful and humble. It also gave us friends and new family, a future and power to live. I want the world to know that there is hope for a cure. Sadly there are still doctors that don’t tell or don’t know about the new research. Rare diseases ask for the most up to date information to the patient. We need to work together worldwide. I have always told my son that a lot of doctors in Nationwide Children Hospital are working on a cure and that he has a future. A big challenge is to beat the antibodies for redosing and the money to get the treatment for all patients. The clock is ticking for all patients! They are our heroes. My son is the best warrior. I hope people will invest in this new way of treating neuromuscular diseases, we are closer to a cure than ever. As a mom, I will be telling the doctors that they have to work together to cure rare diseases worldwide and that gene therapy will be the new way of medical treatment. My son, I think he will be running and participating fencing competitions. He recently told me that in his dreams he sometimes runs.